That Philadelphia is a special place, as far as its density of outstanding musical talent is concerned, is definitely one of the most bandied around platitudes of the last two years. What is easily overlooked, however, is that the musical trend couldn’t be more varied despite the numerous connections. Now, Rahsheed, alias Maylay Sparks, one of the most exciting hip-hop producers in the city, presents his debut album on Rapster. That his excellent reputation has so far almost exclusively been enjoyed in insider circles is mainly due to the fact that most of his productions to date have only been available as imports. His band, Rahsheed And Illadvised, of which Baby Black is also a member, has already been firing up underground heads for years. Together with The High & Mighty, Rahsheed was also one of the founders of the Eastern Conference label in 1995. 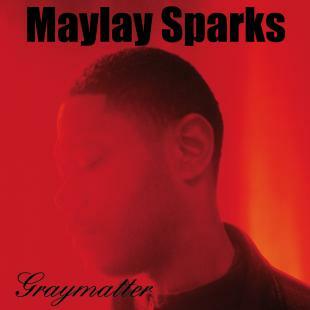 In the meantime, he has relocated to Copenhagen and produced “Gray Matter”, his first album under his own name. “I only really came to Copenhagen to perform with Black Thought from The Roots at the Roskilde Festival. During the performance, I jumped off the stage and broke my leg. That’s how my stay was inadvertently extended.” Since then, Rahsheed has become firmly anchored in the hip-hop scene there and has started a family. His musical output has once again increased in quality. The twelve tracks on “Gray Matter” are beyond a doubt among the best that hip-hop has to offer in 2003. His universal musical approach has fallen on particularly fertile ground in Denmark. “I feel really comfortable in Copenhagen, The people here don’t just show a special respect for hip-hop culture, but they are also open to other influences. In contrast to the USA, where the competition is somewhat tougher, you can develop your own ideas here in peace.” And on “Gray Matter”, Rahsheed has achieved this in a particularly impressive manner. 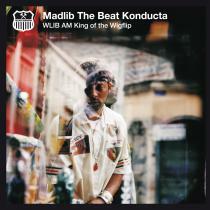 His tracks tower above the usual hip-hop standards, far ahead of the densely occupied pack. “For me, it was clear from the outset that I wanted to structure this project as simply as possible. Hence the title, ‘Gray Matter’. It is intended to affect people in a very direct way.” Rahsheed produced some of the songs in the USA with the help of Malik B (The Roots), Omni, DJ Jaz and Louis Logic. The rest of the tracks came about in England with Joe Buhdha and in Copenhagen with DJ Noize and The Prunes. The twelve tracks sound suitably multifaceted, too. Despite the many co-producers, Rahsheed never lost sight of the real aim of producing a hip-hop record. In the meantime, he has already begun working on a new project – a combination of soul and hip-hop elements. New productions under the name Maylay Sparks are also already being planned. These include Legend Of My Own Mind, a band brought to life in conjunction with DJ White Shadow from Norway. Work will therefore not be running out too quickly for Rahsheed. “After already releasing 15 singles under various names, ‘Gray Matter’ is the first record to be marketed worldwide. It was time to take this step.” Hip-hop is much more than just music for Rahsheed. That much is clear in each and every song.